Best Fit Sales has over 22 years experience in planning, design and installation of custom stairway and rail systems for interior stairs for residential homes and businesses. We are able to design, for a reasonable fee, a staircase to fit in the space provided....and if it does not fit, we have the "in house" experience to assist in making the need fit the reality that makes the vision come alive. 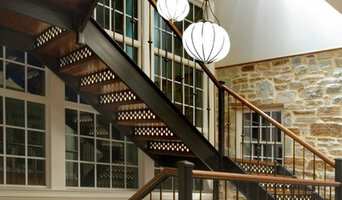 Best Fit Sales has installed the highest quality wood or metal stair rails throughout Maryland, Northern Virginia, Washington DC and Southern Pennsylvania. We have worked with both homeowners and builders during new construction of a home, renovations that include new stairways, or replacement of existing rails and balusters. Each project begins with a personal site visit to get ideas and survey the layout. 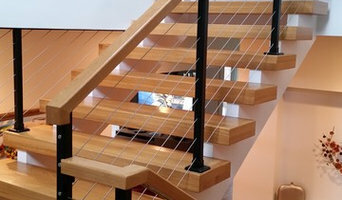 Best Fit Sales then takes care of the planning and design of the stairs, rails and balusters. 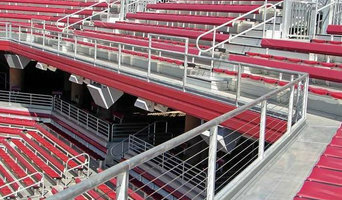 Production and installation is then done by top professionals in the industry. 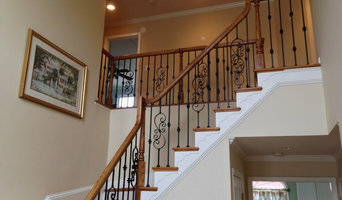 Handrails and balusters are available in wrought iron and a wide variety of wood including the best White Oak, Red Oak, Poplar, Maple, Mahogany, American Cherry and Brazilian Cherry. Rails and balusters are available in hundreds of design and style combinations in all shapes and sizes.